The heat is becoming unbearable, and as the sweat drips down from foreheads, all we can think about is that the best antidote to the summer heat is sitting in a cool room, with a great book to give us company. Dreams of horror, fantasy, love, suspense, and drama can make you forget about the heat as fast as an air conditioner can. If you are also looking for some immersive novels to take you on journeys to lands afar, the here are some of the best releases of this month. What it's about: One fateful day, Deepti vanishes mysteriously. Baffled by her disappearance and consumed with grief, Prakash, her husband, loses his eyesight. For Prakash, the inexplicable loss of his wife is doubly painful because she was pregnant with their child. And no amount of consolation can bring him solace in the years that ensue. Into this void steps Rajani, a woman with a tormented past. Despite her initial disdain of Prakash, she steadily finds herself drawn to him. And although an intense desire brings them together, Prakash is unable to give Rajani the love she craves just as he is powerless to dispel the luminous memory of Deepti. But where will this grave obsession lead? 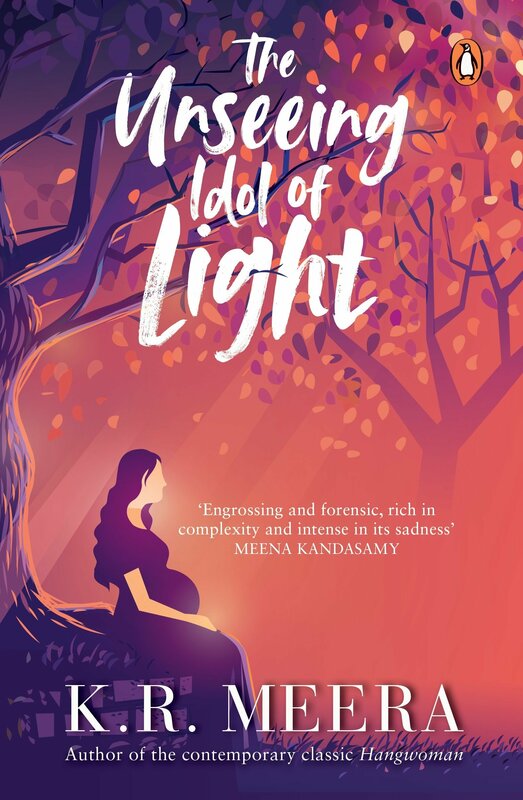 The Unseeing Idol of Light is a haunting tale that explores love and loss, blindness and sight, obsession and suffering; and the poignant interconnections between them. Why you should read it: There are many mystery novels that emerge from India but very few are written with the raw emotion that this book contains. This is a story about love, loss, and the irrepressible emotions that control all of us. The Unseeing Idol of Light contains a surprising level of emotional and psychological self-destruction. "Standing behind her, Prakash touched the small mole on the back of her neck. He felt a debilitating sense of loss." By the end of the whole series of events do the readers realise that K. R. Meera was telling the story of not one woman but all women. The events that happen to them are plausible enough, but the bottomless angst of the characters themselves is overwrought and ultimately exhausting. What it's about: A lone woman travels fearlessly into the jungle to confront the enemy. She holds the fate of an entire world in her hands. Why you should read it: Many books talk about the days gone by, and a lot of Indian literature is focused on the ancient systems and stories. 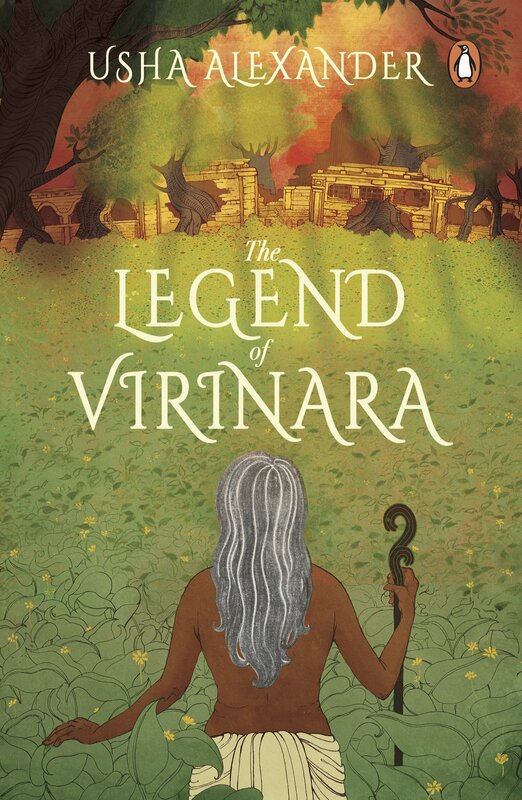 However, the tale of Virinara and its rulers is not based on historical facts, but rather on a story that resonates deeply with the present and the reality of humanity. "I collected shells from the sandy shores, each one a flawless, miniature sculpture, and chased sideways little creatures across the beach, watching them vanish into bubbly, sodden little hideaways in the sand when I came near." An extraordinary story of epic proportions, it combines vivid and cinematic period details with rich characters in a well-paced plot. Through an unlikely love story, a tragic conflict between two groups, and a riveting interplay of hope and despair, it reveals timeless truths about human beings. What it's about: Set in a rural town on the Mississippi Gulf Coast, Where the Line Bleeds tells the story of fraternal twins Joshua and Christophe, who are graduating high school as the novel begins. The two boys both anticipate and dread their lives as adults. Joshua finds a job working as a dock laborer on the Gulf of Mexico, but Christophe has less luck: Unable to find a job, and desperate to alleviate his family’s poverty, he starts to sell drugs. Joshua does not approve, but his clumsy concern fractures the twins’ relationship. When their long-missing addict father reappears, he provokes a shocking confrontation between himself and the brothers—one that will ultimately damn or save them. Where the Line Bleeds is unforgettable for the intense clarity of how the main relationships are rendered: the love but growing tension between the twins; their devotion to the slowly failing grandmother who raised them, and the sense of obligation they feel toward her; and most of all, the alternating pain, bewilderment, anger, and yearning they feel for the parents who abandoned them—their mother for a new life in the big city of Atlanta, and their father for drugs, prison, and even harsher debasements. 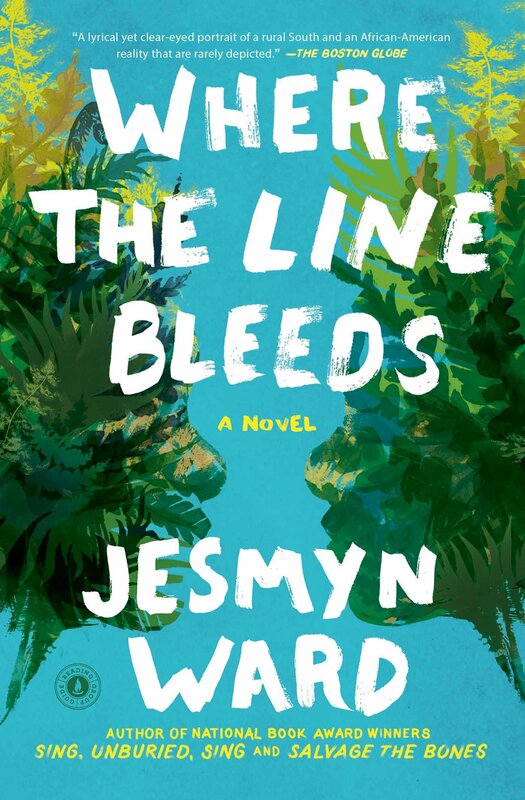 Jesmyn Ward herself grew up in a small Mississippi town near New Orleans, and this book makes palpable her deep knowledge and love of this world: black, Creole, poor, drug-riddled, yet shored by strong family ties and a sense of community that balances hope and fatalism, grief and triumph. Hers is an important new voice in American fiction, distinguished by its simple, patient, and utterly focused attentiveness to the physical details of her characters and their lives. Why you should read it: The story is shocking in its simplicity, but finds the readers at their most vulnerable and uses that to work its way into the tear-ducts. The final chapter is rich with subtext and metaphor and allegory. This is a masterstroke of literary fiction. The writing will cast a spell over you and transport you to the locale where the author explores the themes of family, brotherhood, alcoholism, addiction, and mystery. “Love don't just go away like that." This is a slow paced but beautiful coming of age story rounded off with the additional challenge of mixed feelings at best (and violent animosity at worst) towards previously absent parents. What it's about: In the house of Helios, god of the sun and mightiest of the Titans, a daughter is born. But Circe is a strange child--not powerful, like her father, nor viciously alluring like her mother. Turning to the world of mortals for companionship, she discovers that she does possess power—the power of witchcraft, which can transform rivals into monsters and menace the gods themselves. Why you should read it: If you enjoy Greek mythology, complex heroines, and a generous serving of adventure, bloodshed, betrayal, magic, and monsters - both literal and figurative, then this is the book for you. 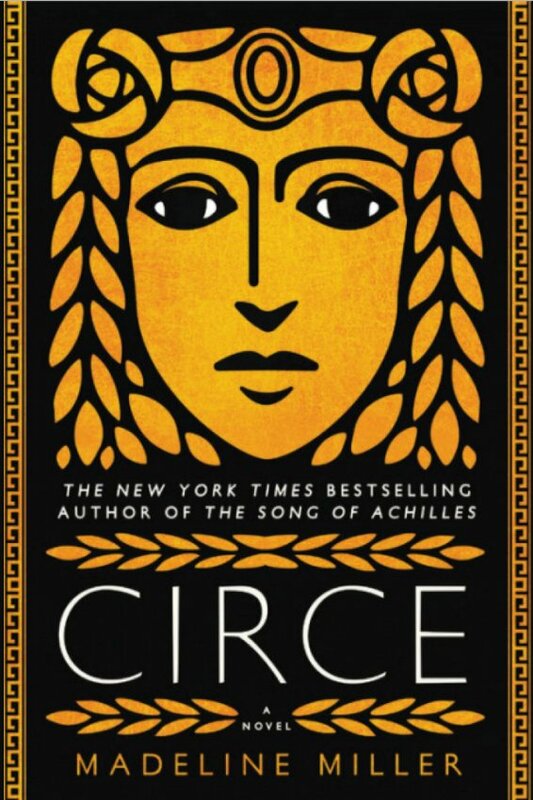 Circe is part beautifully-written literary fantasy and part divine Greek soap opera. This strange combination makes for a book that is extremely quotable, rich in description and detail, and also a page-turner. This is a beautiful, intricate, and captivating book, which will keep you hooked to your seat, and waiting for more. What it's about: The 2:00 a.m. call is the first time Lexie Vidler has heard her sister’s voice in years. Annie is a drug addict, a thief, a liar—and in trouble, again. Lexie has always bailed Annie out, given her money, a place to sleep, sent her to every kind of rehab. But this time, she’s not just strung out—she’s pregnant and in premature labor. If she goes to the hospital, she’ll lose custody of her baby—maybe even go to prison. But the alternative is unthinkable. 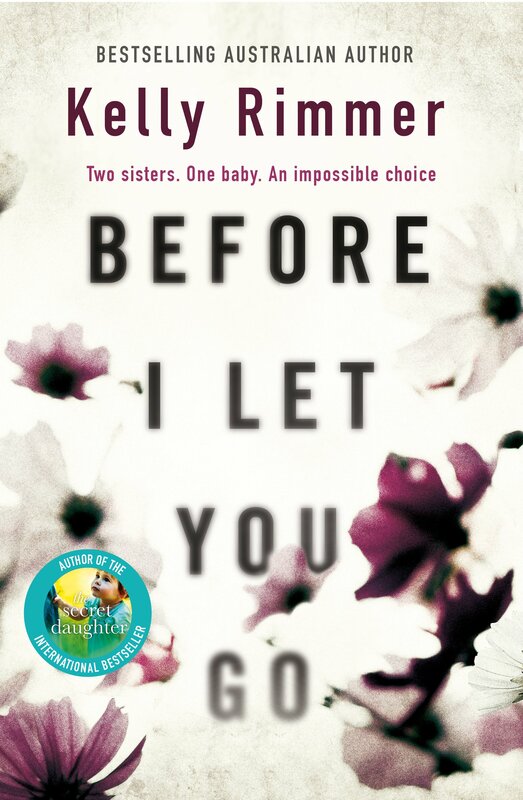 Why you should read it: Before I Let You Go is a well-written and poignant book about love, family, addiction, abuse, loss, and forgiveness. This is also definitely a touching, raw, heartbreaking, and thought-provoking read with some controversial issues that could help start some important discussions. "It’s just something you slide into between laughs and smiles and moments of bliss. It’s something that feels like a shield, until you realize it’s actually a warhead." The characters make you feel, they tear at your heart, make you anxious, make you angry and make you cry. This is a heart-wrenching book that will make your emotions go haywire, but it is worth every page you turn. What it's about: Li-yan and her family align their lives around the seasons and the farming of tea. There is ritual and routine, and it has been ever thus for generations. Then one day a jeep appears at the village gate—the first automobile any of them have seen—and a stranger arrives. 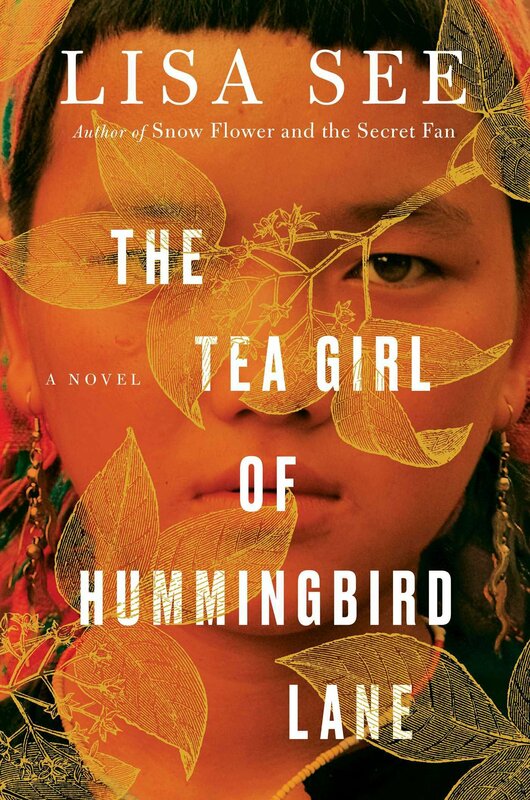 Why you should read it: This story gives us a fascinating look at this ethnic minority known as the Akha in a rural village in a tea growing region in China. It also provides fairly in depth information on the tea industry. The book has language that flows and characters that you grow attached to even though you might not understand their culture and the captivating story of mothers and daughters, families, fate and love weave a tapestry multiple layers deep. The weight of the history of tea may seem very intricate to some, and yet, it is through this expansion of information that we experience the varied layers of its worth. Sipping your next cup may cause you to pause next time and take in more than just its exceptional flavor. What it's about: Clemantine Wamariya was six years old when her mother and father began to speak in whispers, when neighbors began to disappear, and when she heard the loud, ugly sounds her brother said were "thunder." In 1994, she and her fifteen-year-old sister, Claire, fled the Rwandan massacre and spent the next six years wandering through seven African countries, searching for safety — perpetually hungry, imprisoned and abused, enduring and escaping refugee camps, finding unexpected kindness, witnessing inhuman cruelty. They did not know whether their parents were dead or alive. When Clemantine was twelve, she and her sister were granted asylum in the United States, where she embarked on another journey — to excavate her past and, after years of being made to feel less than human, claim her individuality. 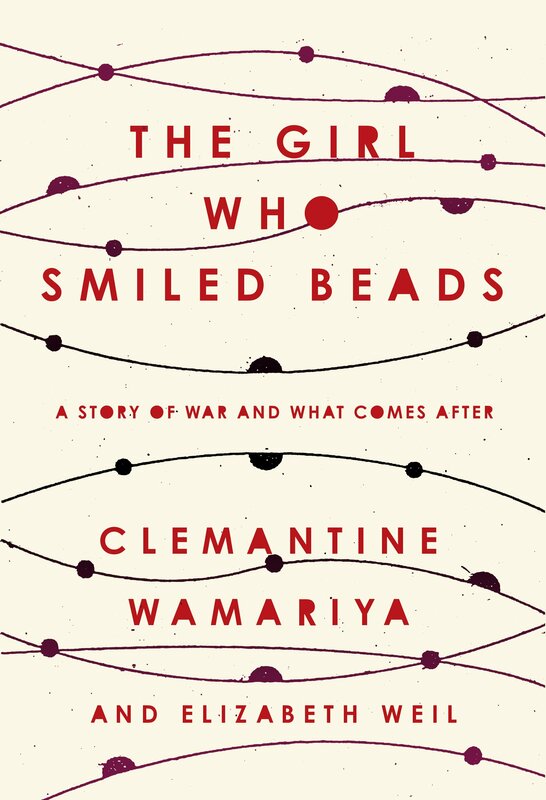 Raw, urgent, and bracingly original, The Girl Who Smiled Beads captures the true costs and aftershocks of war: what is forever destroyed; what can be repaired; the fragility of memory; the disorientation that comes of other people seeing you only as broken — thinking you need, and want, to be saved. But it is about more than the brutality of war. It is about owning your experiences, about the life we create: intricately detailed, painful, beautiful, a work in progress. Why you should read it: This is a deeply moving account of one Rwandan family torn apart by that country's genocide. It is told to us through the eyes of many different emotions; all felt through the writing of Clemantine who relives her flight as a refugee throughout the African continent and as a young woman in the United States. It is a moving, powerful story, a story about resilience and survival,but also about the toll taken on the human psyche after living through such horrific times. Why you should read it: A book with multiple points of views and plot-lines, this is a mess that you would gladly jump into. This is a book about love, pain, family, friends, children, and everything else that makes up a life, told very realistically with a huge dose of humor. 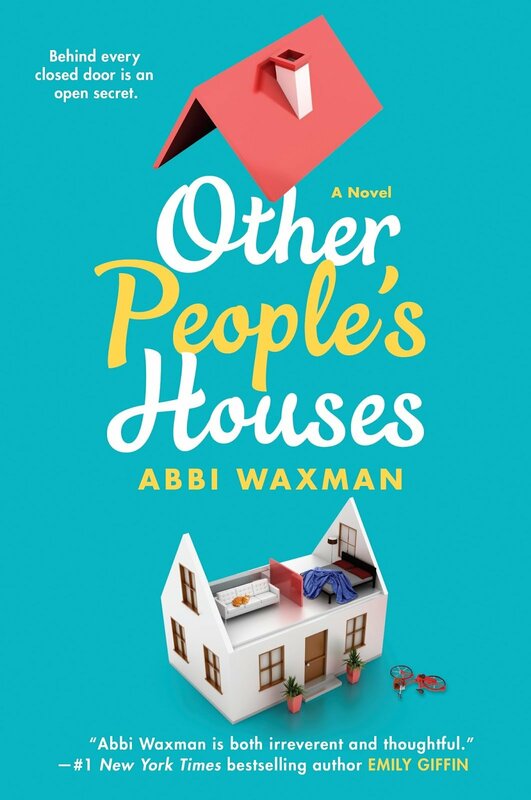 Other People's Houses is a domestically delicious drama with interesting and witty characters and a lot of hilarious but very real instances that will have you rolling on the floor while relating hard. Peppered with great metaphors and some raunchy language, the book is wonderfully written, hilarious, witty, sad, and very insightful. It covers very sensitive issues, yet it is humorous, encouraging and uplifting. What it's about: Carol Evers is a woman with a dark secret. She has died many times . . . but her many deaths are not final: They are comas, a waking slumber indistinguishable from death, each lasting days. 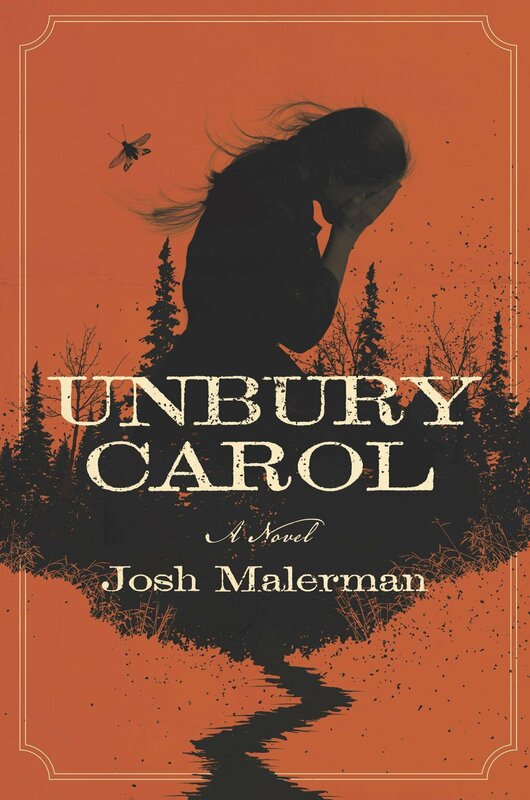 Why you should read it: Unbury Carol reads like a mash up between a spaghetti western, the Brother's Grimm's Sleeping Beauty, and a Quentin Tarantino film, but is no less because of it. The story in the novel takes place in a period not unlike the 1890s and has a distinctively western feel. There is a lot of suspense, drama, and excitement throughout. The book is horrifying, gripping, and brilliant; and you will not be able to put it down until you have reached the end. What it's about: Anna is everything her identical twin is not. Outgoing and athletic, she is the opposite of quiet introvert Jess. The same on the outside, yet so completely different inside — it's hard to believe the girls are sisters, let alone twins. But they are. And they tell each other everything. Why you should read it: With smart, sharp prose and a dark but relatable undercurrent, this book pulls you through the labyrinth-like mystery of a teen girl's life and her tragic end. Yet it's also a poignant story of sisterhood, young romance, and grief, and employs some gorgeous imagery. "I curled up on top of her quilt, my thoughts snaking around in my mind. I tried to straighten them, separate them into orderly piles, but they kept wrapping around each other, slithering out of my grasp." 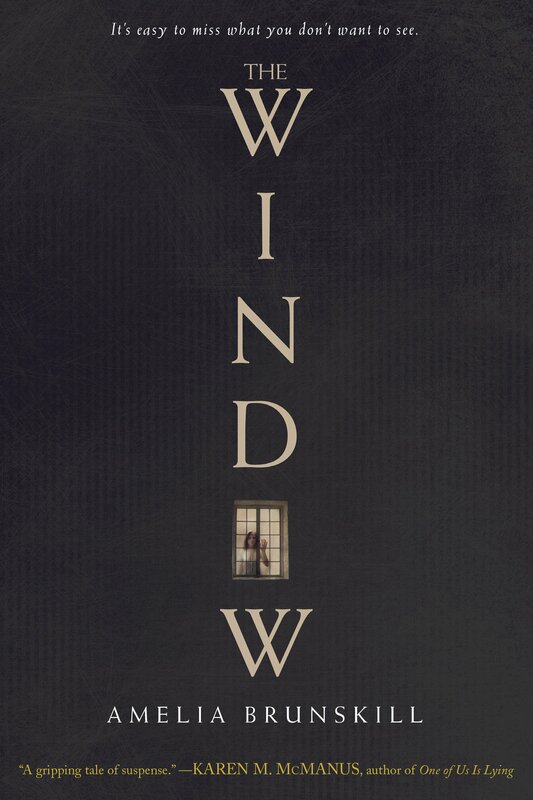 The Window is a wild ride, full of twists and turns. It's a solid mystery, which everyone with a penchant for suspense should read. What it's about: Yvan Alagbé is one of the most innovative and provocative artists in the world of comics. 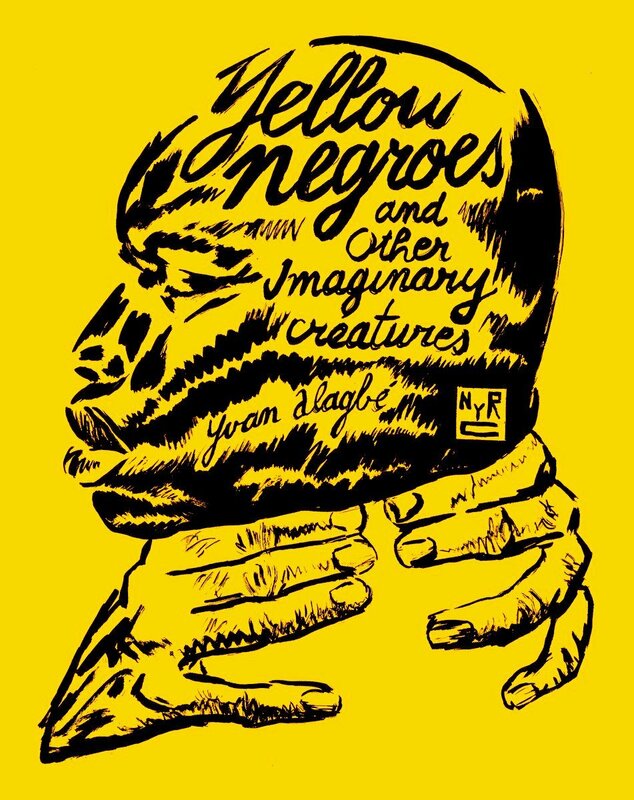 In the stories gathered in Yellow Negroes and Other Imaginary Creatures—drawn between 1994 and 2011, and never before available in English—he uses stark, endlessly inventive black-and-white brushwork to explore love and race, oppression and escape. It is both an extraordinary experiment in visual storytelling and an essential, deeply personal political statement. Why you should read it: The comics in this collection are worth reading for the artwork alone, which covers a wide range of styles and techniques. At times it shows a superficial crudeness that belies its control and efficiency. The writing, at its best, is poetic and haunting. The storytelling styles vary, too, including brief vignettes, poetic and polemic observations on African and diaspora politics, and longer form narratives of pan-African diaspora life. Stirring stories, whimsical stories, and some opaque musings, this book has it all. This is a beautifully illustrated and unnerving but moving glimpse into the lives of immigrants in France and their struggle for humanity against continued racism and xenophobia. What it's about: After the climate wars, a floating city is constructed in the Arctic Circle, a remarkable feat of mechanical and social engineering, complete with geothermal heating and sustainable energy. The city’s denizens have become accustomed to a roughshod new way of living, however, the city is starting to fray along the edges—crime and corruption have set in, the contradictions of incredible wealth alongside direst poverty are spawning unrest, and a new disease called “the breaks” is ravaging the population. Why you should read it: This book is imaginative, compelling, realistically fantastic and page turner with beautifully descriptive prose and characters that just pop. The plot is intelligently woven and every level of this city and its people is explored, opened up to the reader and shown in all it’s gorgeous, stark, unrelenting forms. The characters are sharply defined and divisive, shades of dark and light throughout. 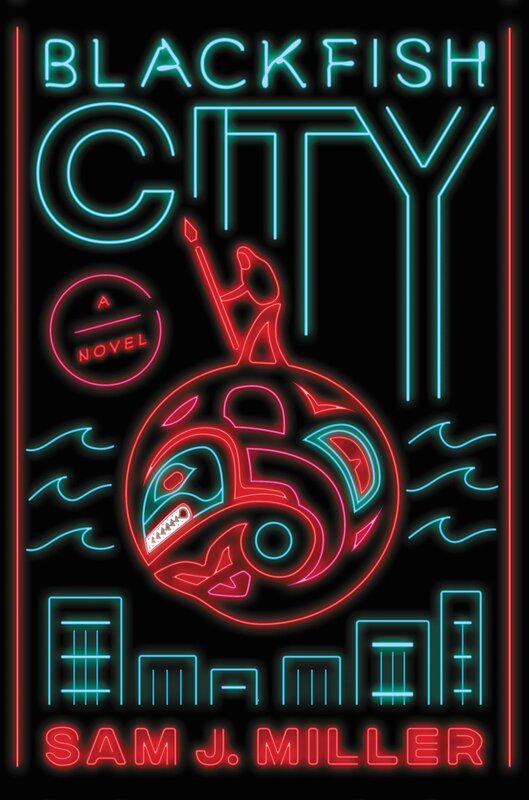 Blackfish City is an incredibly immersive science fiction novel that will reel you in with its descriptions and inclusivity. Which book are you going to read first? Are you going to be enthralled by the mystery, magic, or suspense?